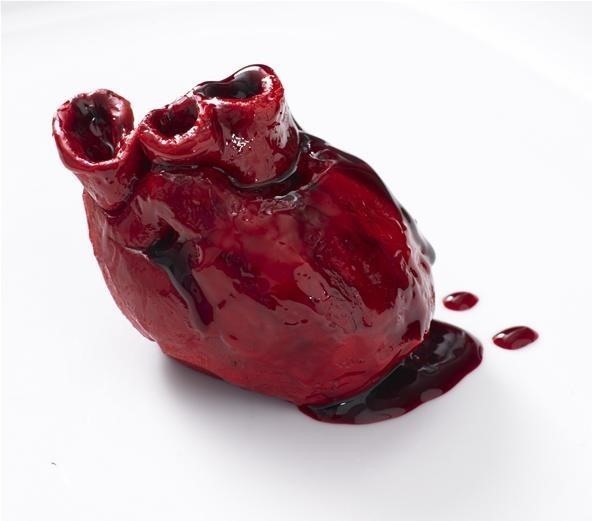 Baking extraordinaire Lily Vanilli has made some just-slightly-too-realistic-to-look-yummy bleeding heart cakes for people to give to their respective beaus on Valentine's Day. While it's pretty tricky to get your hands on one made by Lily herself, you can make one yourself if you've got the heart. Check out A Lot on Her Plate's video with Lily to see how to make this so-called "anti-Valentine's Day cake," which also works well for Halloween. To follow along with them, check out the full recipe on Lily's website for ingredients and instructions. 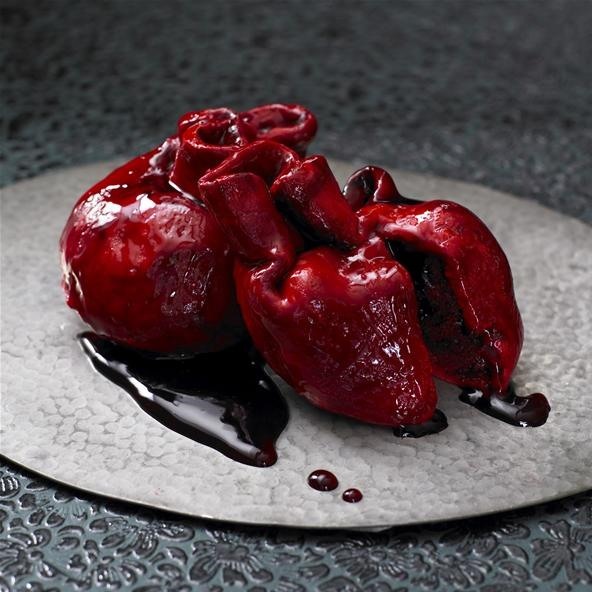 This cake, or a version of it anyway, was even featured in a music video for Irish band Ash for their "Carnal Love" song, as you can see below. If you have a hard time following Lily's instructions, Instructables member theprojectmaker also has a bleeding heart cake tutorial you can try. well... I WASN'T going to make anything special for valentines day... until I read this... haha... looks like I need to find my apron. LOL when hes eating the heart its like the intro of "Dexter"
..."May I have a copy of the recipe? I'd love to try this at home... <3"
R, this post was awesome. The heart was very realistic, and it looked very delicious. I agree with Elite Shade, it very much looks like the opening sequence to Dexter the television series. This cake looks as though it would be quite hard to make but seems like it would be well worth it. Anyways, good job on the post and I hope the person who sells these does very well.